Scientists have long recognized that the exchange of genetic material by crossing over—known as recombination—is vital to natural selection. Yet some species display far more crossover than others. Why? 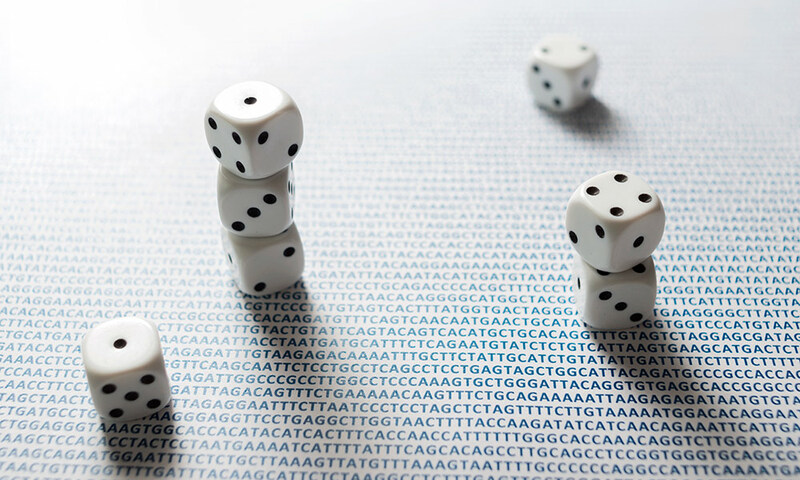 Researchers hypothesize that crossover rates have evolved to balance the benefits of crossing over with the risks of selfish DNA. “This is the first gene I know of that anyone has shown to be responsible for the evolution of recombination rates,” Presgraves says. The team focused on two closely related species of fruit flies—Drosophila melanogaster and its sister species, Drosophila mauritiana—because large differences have evolved in their rates of recombination: D. mauritiana does about 1.5 times more crossing over than D. melanogaster. When they compared genes in the two different species, the researchers found that the DNA sequences of MEI-218 were extraordinarily different. We have combinations of alleles that are good in our current environment, but the environment is always changing. The good alleles that are adaptive and healthy now may not be so in the next generation. Recombination can shuffle these combinations of genes so that some will be bad and those offspring will die, but some will be good and these offspring will survive. There is no single ideal rate or distribution of crossovers, Brand says. Crossovers are necessary to produce viable offspring, but crossing over also has risks. 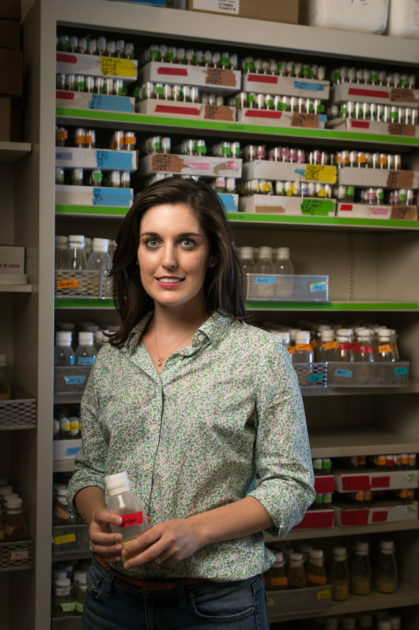 Selfish DNA sequences known as transposons—repetitive genetic elements that do not seem to have benefits to their hosts—are distributed throughout the genome. Transposons are akin to viruses, but instead of injecting themselves in cells, they invade genetic material. 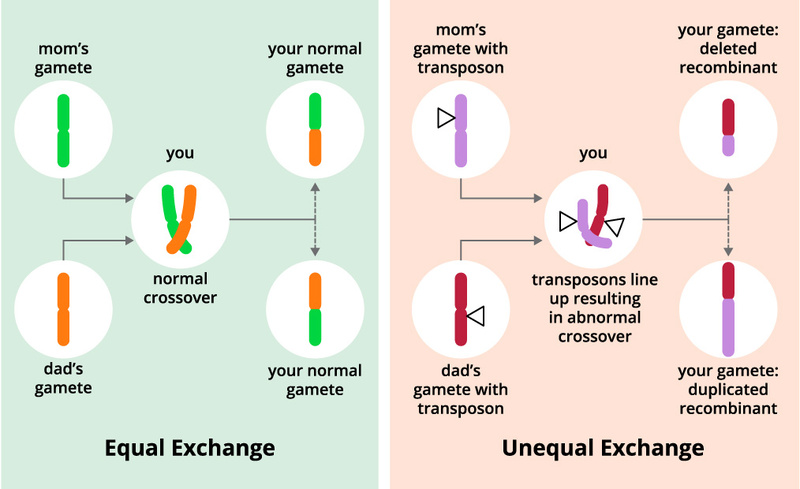 If abnormal crossovers occur between transposons in different locations on the chromosomes, the chromosomes do not line up properly and important genes may be duplicated or deleted. Evolutionary biologists refer to these kinds of evolutionary dynamics as “evolutionary arms races” because, through positive natural selection, genes are chasing a constantly changing fitness optimum. “Maybe you just adapted, but a few generations from now you’re not at the optimum anymore. You have to evolve again and again and again,” Presgraves says.